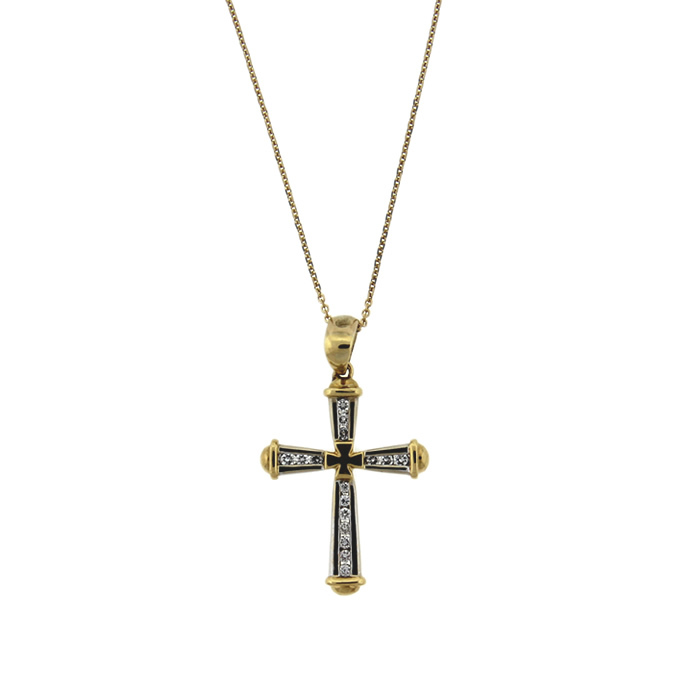 A striking diamond cross pendant necklace! 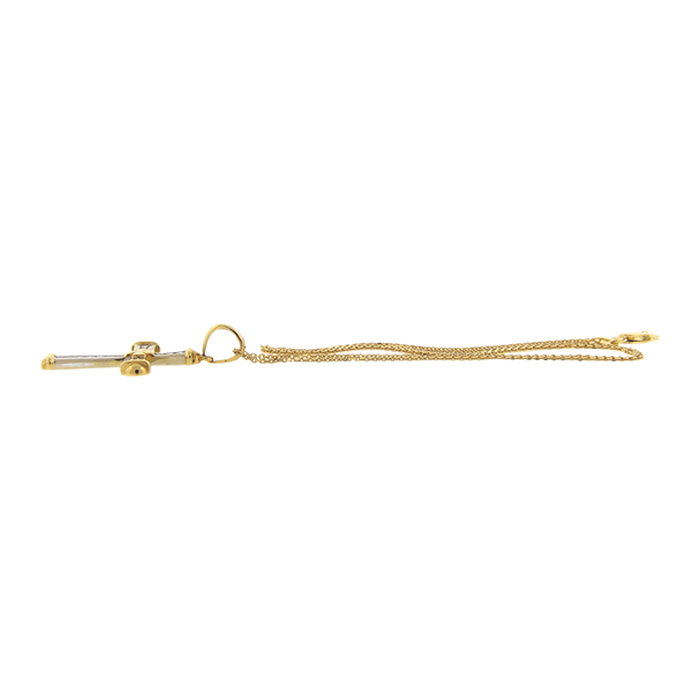 This beautiful piece is crafted in 18k yellow and white gold and showcases approximately 0.32 ct. t.w. of glistening diamonds!